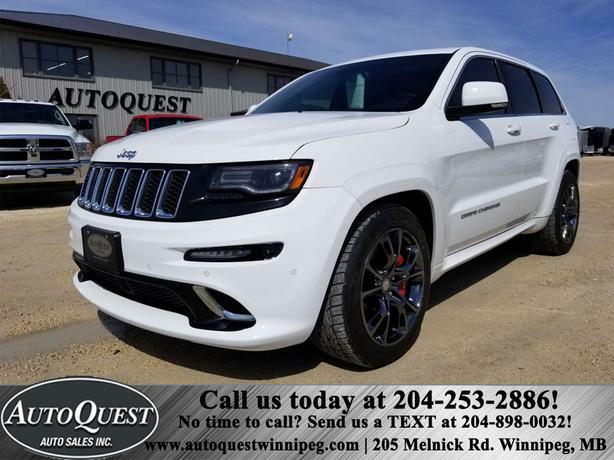  Log In needed $46,900 · 2014 Jeep Grand Cherokee SRT8 4WD 6.4L - FULLY LOADED! AMAZING OPTIONS! AMAZING options in our 2014 Jeep Grand Cherokee SRT8! Featuring a powerful 6.4L V8, 4WD, Launch Control, Panoramic Sunroof, Heated & Ventilated Leather Seats, Heated Steering Wheel, Bluetooth, Adaptive Cruise Control, Backup Camera, Navigation, Factory Remote Start & Keyless Entry, Push Button Start, Power Locks, Mirrors, Seats and Windows, Paddle Shifters, A/C, AM/FM/Satellite Radio, Dual Climate Control, Audio/USB inputs, Tilt Steering and Traction Control! This stunning SRT8 is a true MUST SEE with 86,912 kms! $46,900 plus PST/GST. Dealer #0135. Detailed and reliable CarFax report available.